Please send us news of upcoming events in the Klinger Lake - Sturgis - White Pigeon area so we can publicize them here! The In-Between Restaurant has Comedy Nights during the fall/winter season. Have you ever heard of a library with a cat in residence? 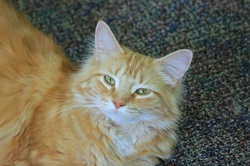 Meet Caldecat, the mascot of the Nottawa Township Library. 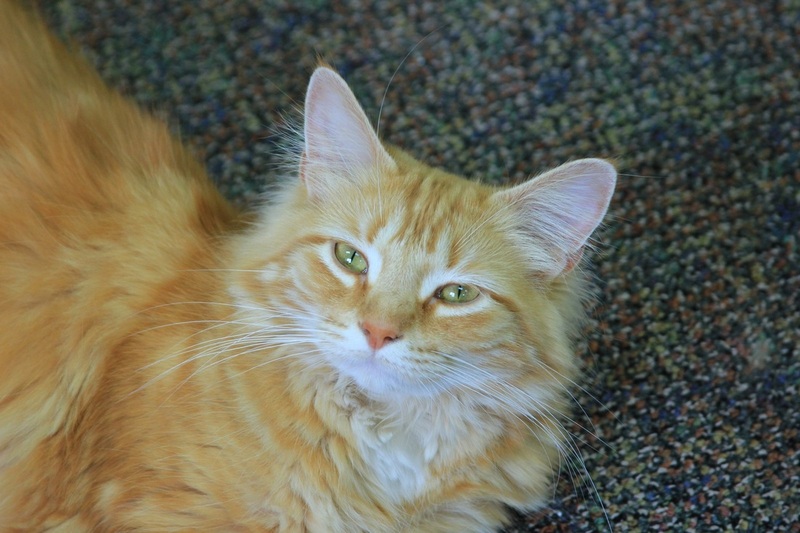 Caldecat came to the library in summer 2013 as a small kitten and he is now a big boy! He loves to play with kids and keep patrons company. Visit the Nottawa library web site for hours and additional information. If you enjoy nature, a trip to the Fernwood Botanic Gardens in Niles, Michigan makes an interesting and enjoyable excursion. It's about a one hour drive from Klinger Lake. Visit www.fernwoodbotanical.org for more information. They have an extensive schedule of indoor and outdoor activities all year long. Looking for a real adventure? How about a ride on a steam-powered train? Less than an hour's drive from Klinger Lake is the Little River Railroad featuring rides and a museum. During the summer months, they offer shorter trips of about 45 minutes for just $10. Perfect for kids! For information including dates and times and ticket prices, visit www.littleriverrailroad.com. The River Country Tourism Council has loads of information about area businesses and activities. Visit www.rivercountry.com for details. Shipshewana, Indiana is an interesting place that is not far from Klinger Lake that many people like to visit. Some of the attractions include the flea market, which is held on Tuesdays and Wednesdays, and the many restaurants and shops featuring handmade quilts, furniture, bird feeders, etc. Visit www.shipshewana.com for more information.